Following the announcement of MSI and ASRock, ASUS has released a BIOS update for its AM4 motherboards. 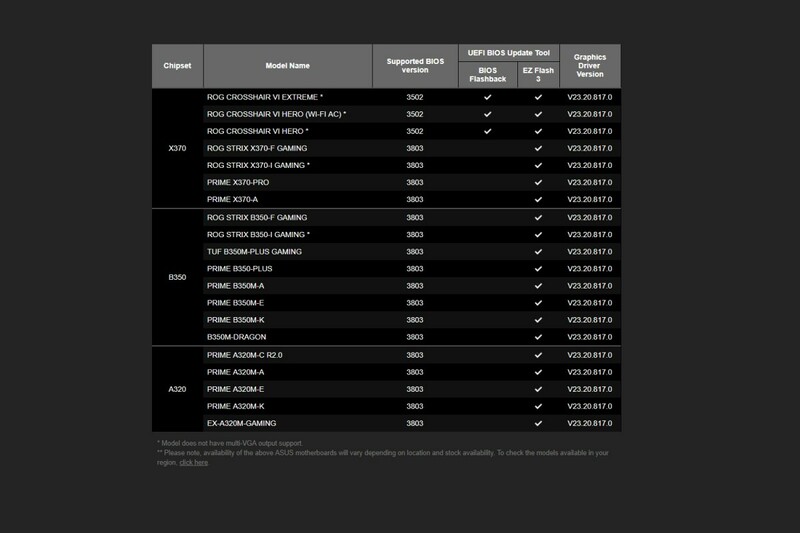 The new BIOS includes AMD AGESA Code 1.1.0.1 support for Raven Ridge APUs. Other improvements have been delivered alongside this compatibility update. Unlike ASRock, ASUS has released an update for all the motherboards. It looks like ASUS is ready for Ryzen 2000 series of CPUs. The company has provided BIOS updates for the entire motherboard lineup. The new BIOS includes AMD AGESA Code 1.1.0.1 support for upcoming Zen+ processors. If are you going to purchase Ryzen 2000 CPU, make sure that your motherboard has been already updated otherwise you will have to do a couple of updates. ASUS has created a microsite where you can download the new BIOS and follow the right procedure for update your motherboard. If you want update your ASUS motherboard you can follow two simple methods. With the first one you have to copy the BIOS file on a USB drive and insert it in the USB BIOS Flashback port. In this way the motherboard can be updated even without processor or memory modules installed. Otherwise you can update your BIOS via the EZ Flash 3 utility that's integrated with the ASUS UEFI BIOS. If the motherboard has been already updated from the vendor, you will find a small sticker on the box.